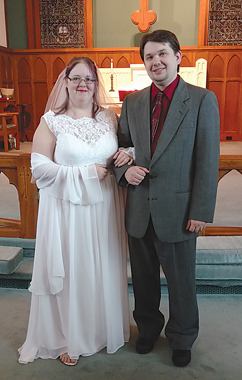 Megan L. Miller and Adam Hardies exchanged their wedding vows Aug. 31, 2013 at Immanuel Lutheran Church in Alpena. Rev. James Erickson officiated the 3 p.m. double-ring ceremony. 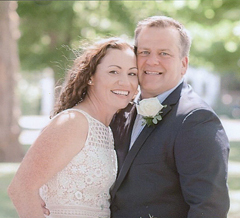 The bride is the daughter of Chuck and Elaine Miller of Alpena. The groom is the son of Bill and Mary Hardies of Hillman. 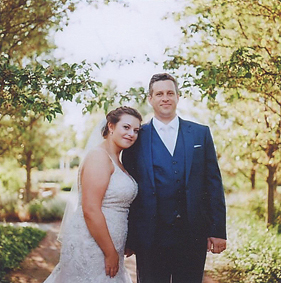 Attending the bride as maid of honor was her sister, Katie Miller. Bridesmaids were Esther Hardies, sister of the groom; Abigail Thomson, Amy Hall, Megan Christensen, Janell Timm and Brittni Ross, friends of the bride; and Kayla Miller, cousin of the bride. Junior bridesmaid was Sydney Vallance, cousin of the bride. Attending the groom as best man was Jeremy Kraft, friend of the groom. Groomsmen were Jon Hardies, Aaron Christensen, Bryan Christensen, cousins of the groom; John Michael Godfrey, Travis Elowskey, Nathan Torsch and Vince Sobek, friends of the groom. Serving as ushers were Andrew Thomson and Steve Hall. Hunter MacNeill, nephew of the groom, was the ring bearer. 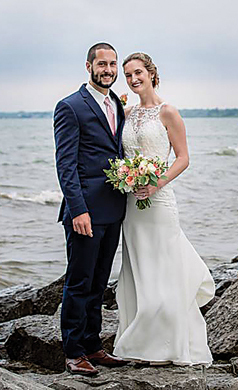 Following the ceremony, a reception in honor of the newlyweds was held at the APlex in Alpena. 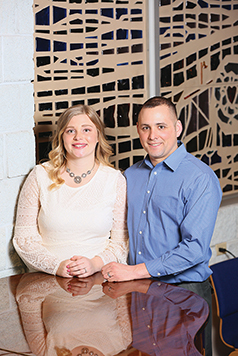 A rehearsal dinner took place at JJ’s Steak and Pizza House, also in Alpena. Megan is a 2009 graduate of Alpena High School and 2011 graduate of Ferris State University with an Associate’s Degree in Respiratory Therapy. She earned a Bachelor’s Degree in Healthcare Administration from Ferris in 2013 and is employed by Alpena Regional Medical Center. Adam is a 2005 graduate of Hillman High School. He is employed with the Michigan Department of Agriculture and Rural Development, and Godfrey Farms, Inc. 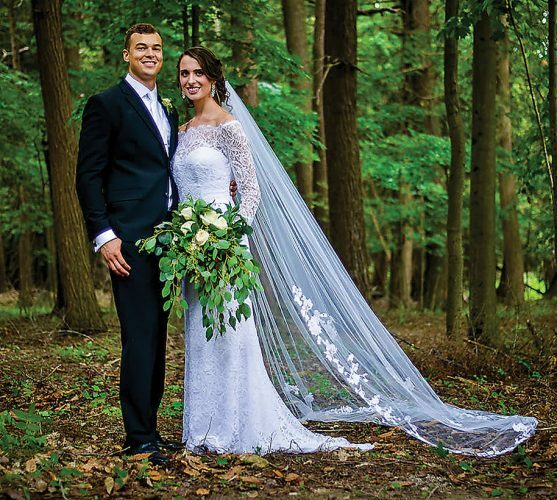 The newlyweds took a honeymoon trip to Traverse City. They currently reside in Hillman.